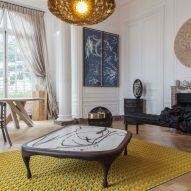 Leading design gallerists are praising the inaugural Nomad fair, held in Karl Lagerfeld's luxurious former villa in Monaco, saying the format works better than traditional fairs like Design Miami and PAD. 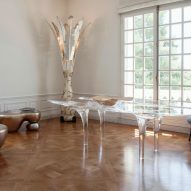 Gallerists from London, Paris and Brussels said that they are tired of stuffy booths at fairs, and would much prefer to showcase collectible design in exclusive villas and apartments. After exhibiting at Nomad, which took over prestigious Monaco villa La Vigie from 27 to 30 April 2017, they are convinced that domestic settings make the best exhibition spaces to show off their collections, and also make them more enticing to buyers. "I think this is really the model for the future," said Laure-Hélène Joseph, director of Galerie BSL in Paris, one of 13 galleries selected to show at La Vigie. "We're putting the works in the environment that they are destined to be in, in a much more natural way," she told Dezeen. "And the experience changes people's attitudes." Nathalie Assi – founder of new London gallery Seeds, and fellow Nomad Monaco exhibitor – shares Joseph's view. "It is the direction that fairs are going in," she said. "Everybody is more relaxed, there is less attitude and the message is very clear. It's easy, and it maybe incites people to consider buying things they wouldn't have considered in other settings." Facing out over the Côte d'Azur, La Vigie was built in 1902. It usually serves as a guest home, so is usually not accessible to the public. But for Nomad, it was emptied of its more traditional furniture, so that each gallery could be given a room to re-furnish. The house was then opened up to a limited number of guests. The event is set to take place annually, but will travel to other exclusive venues in the future. 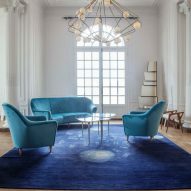 It was organised by Nicolas Bellavance-Lecompte, an architect and the director of Carwan Gallery in Beirut, and Giorgio Pace, an art and luxury brand specialist. 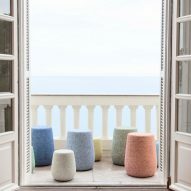 They saw it as a chance to completely rethink the typical design fair – offering collectors a leisurely experience inside the curated spaces of an exclusive villa, rather than a rushed visit around the characterless stands of a vast fair. "You only have to spend an hour here, the perfect time for a visit, and you have time to enjoy every gallery," explained Bellavance-Lecompte, speaking to Dezeen on the opening day of the show. "And what is good is that you can relate on a domestic scale with the objects," he continued. "Most design collectors don't buy for their storage for investment, they buy pieces to live with them. So to have them in a domestic environment is definitely perfect, because you can relate to them." One of the biggest advantages of using a villa as a venue, according to Bellavance-Lecompte, is the natural light. It filtered into La Vigie through windows on all four sides of the building, meaning the appearance of the interiors changed throughout the day. "Daylight changes everything," he said. "At a fair you never know about the colour balance and temperature of the spotlights. But here you can see the objects in the true light." Another big draw is the value for money. Laure-Hélène Joseph said the total cost of exhibiting at Nomad for BSL was around a third of what they would usually pay to show at a fair, as there was no need for extra lighting or other fixtures. "It means we can afford to invest more in the works," she said. Nomad's organisers are by no means the first to experiment with showing high-end design in a domestic setting. 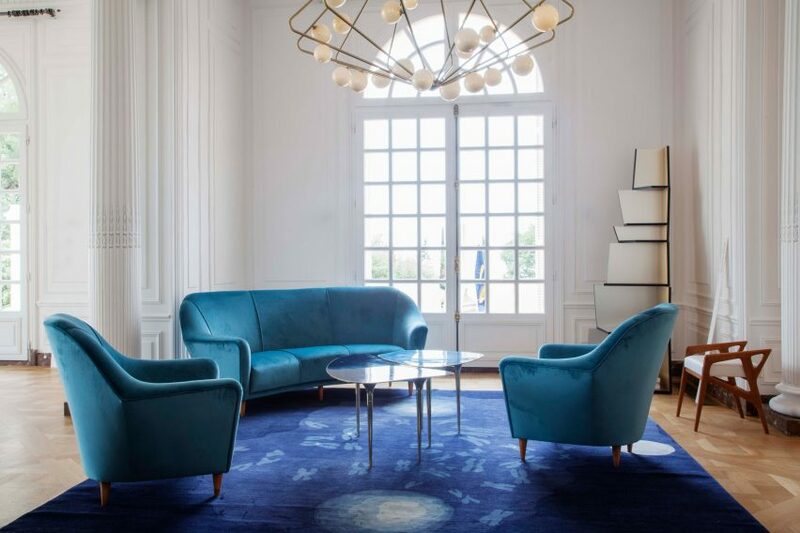 Nilufar gallery founder Nina Yashar has been trialling the idea for years for a project called The Squat, for which she has presented capsule collections of furniture and lighting in apartments in London, Milan, Beirut and Paris. 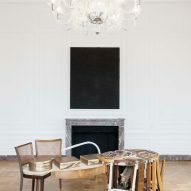 Similarly, in Copenhagen, curator Tina Seidenfaden Busck presents an ever-changing showcase of homeware inside an 18th-century flat, called The Apartment. There were also a couple examples of the format at Milan design week this year. Local studios Dimore Studio and Studiopepe both styled homes interiors; one showed new works, while the other celebrated classic pieces. According to Italian designer Martino Gamper – who contributed to The Squat and also presented work at Nomad – the trend could have been borne out of social media channels like Instagram and Pinterest, where interior design has become hugely popular. "If you want to have a strong image you have to create interesting imagery, and for that you need a strong setting," he said. "A lot of design fairs will just show a piece out of context, and you have to imagine how this piece will be in another space, while here it is quite clear," he continued. "It gives people a chance to see how work could be used, how you could arrange a room." The influence of this was highly visible at Nomad. For instance, Brussels gallery Maniera completely rethought its display approach, inviting visitors to walk over the Christoph Hefti-designed rug it was presenting. "The carpets we always show on a wall in a booth, whereas they're made for the floor," said Amaryllis Jacobs, one of the two co-founders of the gallery, which launched in 2014 and staged its first exhibition inside a brutalist house. "It's much more inspiring to see how these pieces work in an interior," said Jacobs. "We've done Design Miami, it's always different, it's more a display showcase, but here we are really showing that these pieces work very well in a beautiful environment." Elsewhere, visitors were invited to sit down on the chairs, or to examine other pieces that caught their eye. This was only possible, said Jacobs, because people were behaving more respectfully – because they felt like they were in someone's home. "People are very careful. They are also very respectful of this villa and its history," she said. Laure-Hélène Joseph also noticed this: "When you're at a fair you're tired, running around, grabbing cards. Here everybody is taking their time. It's like visiting someone's home." "We used to do many fairs and a couple of years ago we started doing much fewer," she added. "We've been saying for years: when is somebody going to do the events that's just... this kind of thing. It's just more believable."